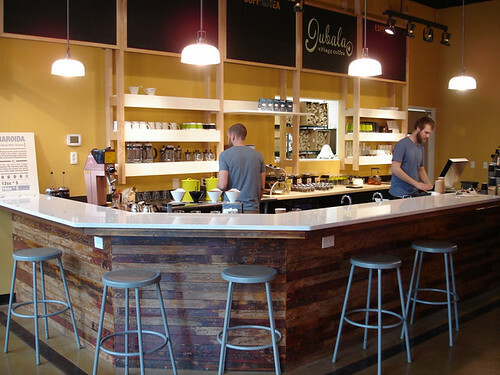 Jubala Village Brings Great Coffee to North Raleigh! Coffee fans rejoiced last week as Jubala Village Coffee quietly opened its doors in the new Lafayette Village shopping center off Falls of Neuse Road in North Raleigh. This new coffee shop fills a huge void in the North Raleigh local coffee scene and does it extremely well. Although they have only been open a little over a week, I’ve already stopped by three times and continue to be impressed with each visit. They serve locally roasted Counter Culture Coffee and have plans for a food menu that will focus on local suppliers of organic and sustainable farming products. The folks at Jubala are easing into their new space by starting off with a limited coffee menu that features several single origin coffees and serving liege belgian waffles, with plans to expand the coffee selections and offer additional food items in the coming weeks. One of the first things you will notice during your visit is the way the baristas prepare single cups of coffee at Jubala. Individual cups are freshly brewed to order. They grind the beans for each order and offer brewing either by “pour over” method or using a french press. It is impressive to watch the care that goes into creating the perfect cup of coffee using the pour over method and also allows time to chat with the barista and learn about the brewing process. The staff is very knowledgeable about what the shop offers, where the beans come from, the different farms that grow the coffee. They friendly and eager to answer any questions you have. I get the nice feeling that they not only want you to enjoy your coffee, they also want you to understand who and where it came from. Of course, they also have an espresso maker, and on my very first visit I had a cappuccino that was prepared to perfection and tasted delicious. On my second visit I experimented a little by trying a vanilla latte made from vanilla purchased from their neighbors at the Savory Spice Shop. The Latte was also fantastic with just the right amount of vanilla flavor yet not overly sweet. My third visit was an early morning stop so I treated myself to cup of a single origin coffee from Bolivia. 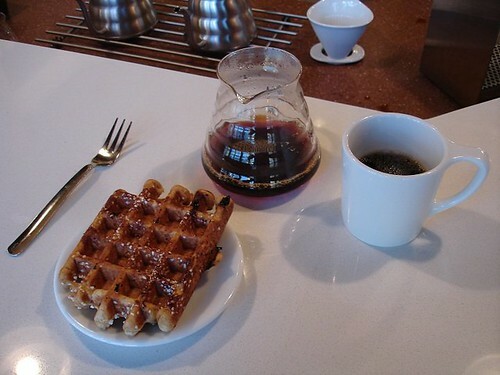 The cup was brewed using the pour over method and during the minute or two it took to brew they were able to quickly prepare my very first liege belgian waffle. The waffles are made with yeast dough instead of batter and have the perfect balance of a toasty outside with a feather light inside with a wonderful slight crunch from the pearl sugar used. The waffles are made in various flavors including cinnamon, blueberry, and chocolate chip. I believe they have plans to expand the food menu in the coming weeks to include things like sandwiches, mixed greens, and locally made desert pastries. In addition to the great coffee, the atmosphere at Jubala is very inviting and spacious. 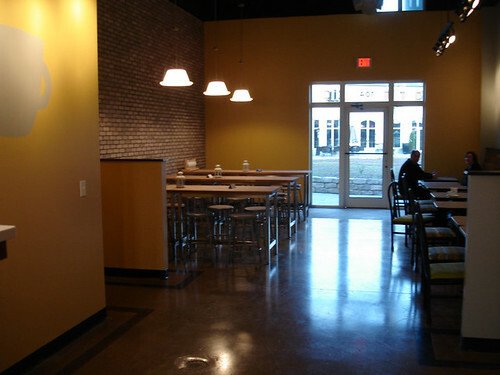 The coffee bar area has a high ceiling and a nice layout that flows well into the larger seating area. The seating features cozy tables for two and larger wooden tables with stools that can seat larger groups. A rustic looking bench constructed out of reclaimed wood that runs the length of one wall. Some of this same wood is used along the coffee bar in the front which adds a lot of character to the space. You can tell the layout was designed with making Jubala a place not only for relaxing with a nice cup of coffee, but to also serve as a place for folks in the community to connect with one another. Jubala is a great place to sit quietly and enjoy by yourself, run in to grab a quick cup to go, or stay to meet and make new friends. I plan on being a regular here and am already looking forward to my next visit. You can view more of my photos from my visit in my flicker photo album. To stay updated on what’s happening at Jubala check out their facebook fanpage or follow them on twitter at @jubalacoffee. Just found your blog. Moving to Raleigh next week from Austin. (I lived in Raleigh for 5 yrs) Anyhow, good to see the coffee scene getting better!!! Thanks for visiting my blog. 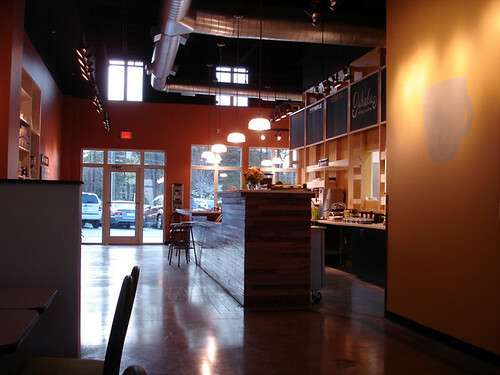 Yeah, the coffee scene in Raleigh is really on the rise. 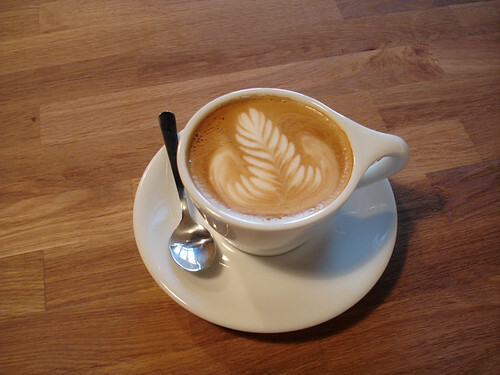 There are lots of great local coffee shops that serve up some great locally roasted coffee. Some of my favorites are Jubala, Cafe Helios, Electric Beanz, Cafe Benelux, Third Place, and New World Coffee. All of these are in Raleigh. There are also som great places in Chapel Hill and Durham. 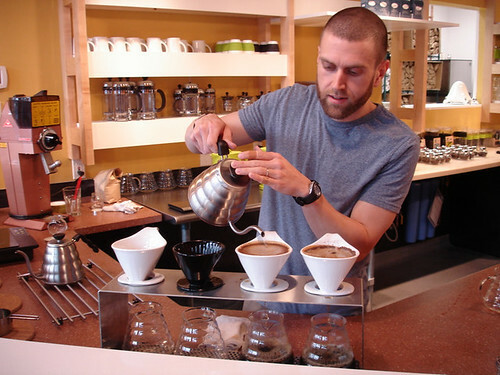 Good luck with your move and enjoy checking out the Triangle coffee scene! Triangle Arts and Entertainment is taking a poll on who is the Best Coffee Shop in the Triangle. Please vote or suggest someone we might have missed. Winner gets a plaque and caffeine kicking bragging rights plus web badges and the top 5 finalists get certificates plus web badges.